One doesn’t often equate Star Trek with covetable style, unless artfully executed cosplay happens to be your thing. As Gucci demonstrates in its new campaign for A/W17, however, boldly going where no follower of fashion has gone before appears to be a trend for the new season – green metallic body paint and all. Shot by Glen Luchford, the campaign caters to our inner Trekkie by referencing 1960s sci-fi mania; an apt moment to pay homage to Commander Nyota Uhura, arguably the most fabulous crew-member the Starship Enterprise ever had. 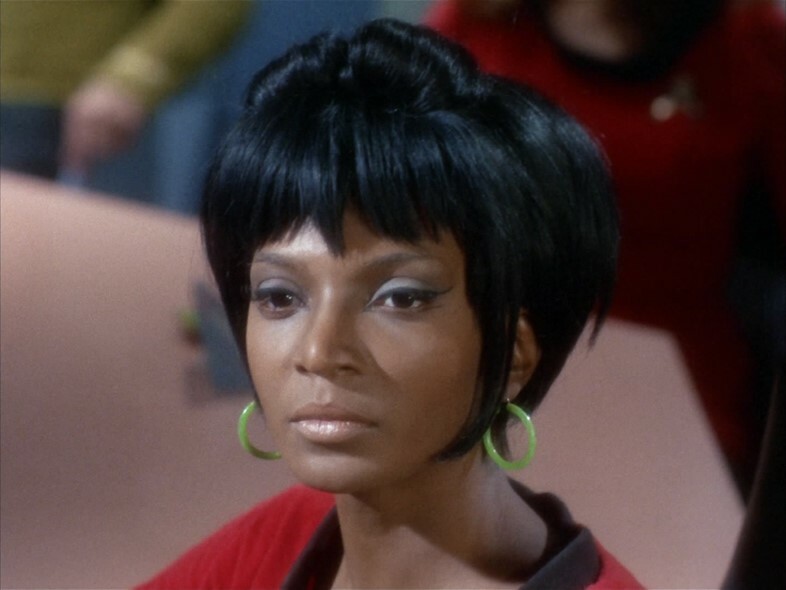 The 1960s iteration of Uhura was portrayed by actress Nichelle Nichols, marking a groundbreaking moment in popular culture as one of the first African-Americans to play a non-menial role on mainstream television. And indeed, the Starfleet commander was an intergalactic force to be reckoned with, possessing skills including linguistics, cryptography and philology, with an aptitude for mathematics and problem-solving. Alongside her impressive IQ, she served a hefty dose of space-age chic, with a particular penchant for statement earrings – from gilt Calder-esque spirals to acid green Lucite hoops. Her uniform, designed by costume designer Bill Theiss, comprised of a boxy scarlet mini-dress, black tights and knee-high leather boots, in true Mod-meets-space cadet fashion. But Uhura didn’t always play it safe. In an episode titled Mirror Mirror, the Commander sports an abdominal-bearing two-piece accessorised with a lurex gold sash and serpentine bangle wrapped round her bicep. 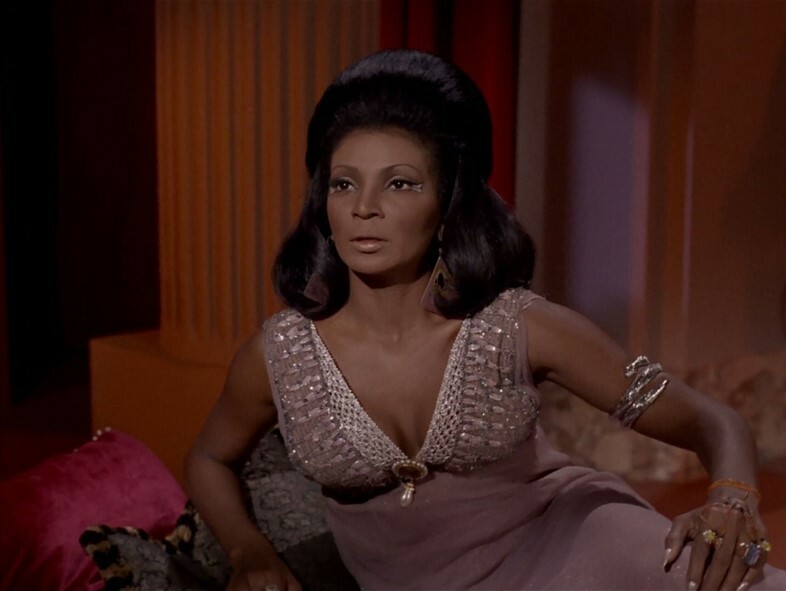 In 1968’s groundbreaking Plato’s Stepchildren, the epsiode which presented the world with the first ever interracial kiss to take place on mainstream TV (between Uhura and Captain Kirk) she sports Grecian-inspired garb: a pale lilac negligee and graphic eye make-up accessorised with an abundance of costume jewellery. 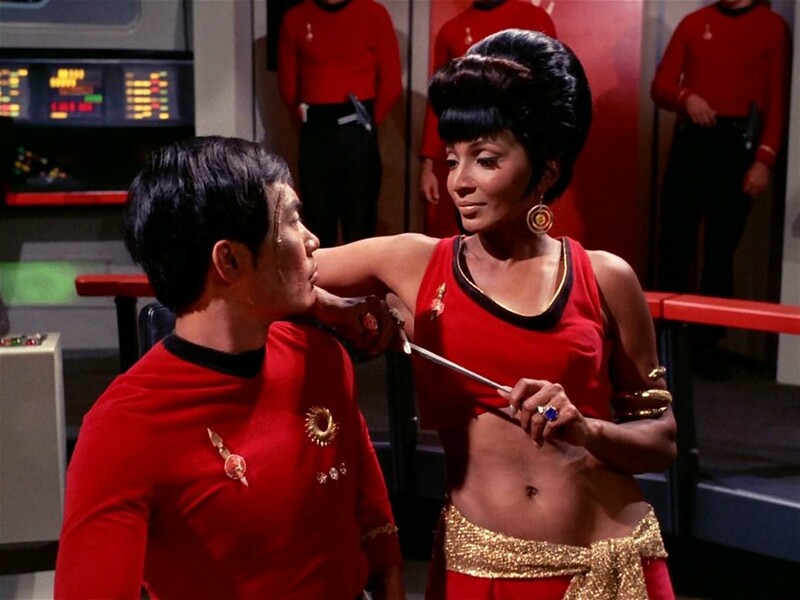 Uhura’s legacy extends far beyond the realms of fashion; she became a political symbol for many. Dr Martin Luther King, Jr. was an avid fan of Star Trek, and even let his children watch it, largely due to Nichelle Nichols. 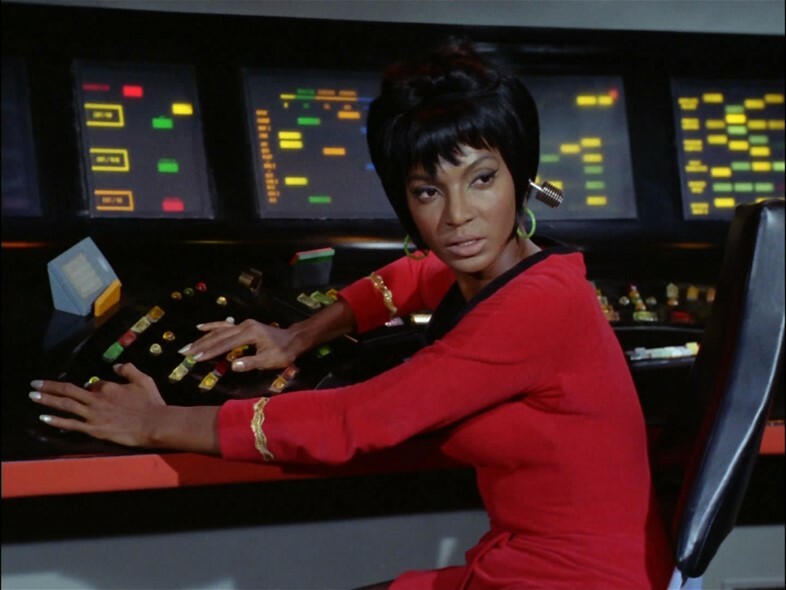 After the first year of playing Commander Uhura, the actress wanted to hand in her notice and pursue a career on Broadway, but as is widely quoted, was told by King that she “could not give up because she was playing a vital role model for black children and young women across the country, as well as for other children who would see blacks appearing as equals”. “You cannot and must not,” the civil rights activist urged Nichols, whilst he made a surprise visit to meet the actress at a NAACP fundraiser. “You have opened a door which must not be allowed to close. You have created a character of dignity and grace and beauty and intelligence. For the first time, people see us as we should be seen, as equals, as intelligent people, as we should be. Remember, you are not important there in spite of your colour. You are important there because of your colour.” Needless to say, Nichols listened to the words of Dr King, and subsequently continued to inspire generations of women, including NASA Astronaught Mae Jemison, the first African-American woman in space, who cited Uhura as the motivation behind her career.